A bit of a different fun food Friday for our first space themed lunch! 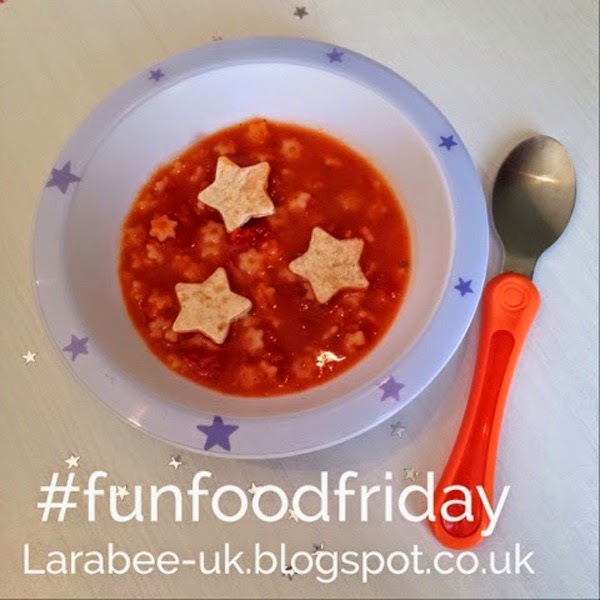 I made some tomato soup using the recipe on my blog, and added 100g of Annabel Karmel's baby pasta stars whilst simmering and cut stars out of a tortilla wrap. T loved this lunch, he likes chunks in his soup so adding the tortilla stars and pasta made it even more lumpy for him!